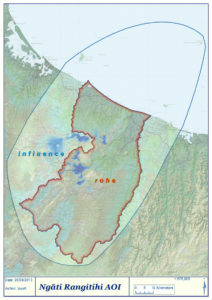 The ancestral, traditional, customary and contemporary interests of Ngāti Rangitihi cover a large area of water and land. In the north-west, the interests relate to the birth place of Rangitihi, where he lived and raised a family. This is also the arrival place and residence of the sacred Te Arawa waka. Rangitihi and his family grew and spread their interests to the inland lakes including Lake Tarawera where they lived for hundreds of years, building complex relationships and resource use systems with Tuhourangi and other Te Arawa iwi. From Lake Tarawera and surrounds, the expansion of Ngāti Rangitihi whānau and hapū was inevitable. Natural growth saw Ngāti Rangitihi occupy and sustain themselves on the Tarawera River with its access to the coastal areas, inland use of the wide-open spaces of the Kaingaroa plains and settlements and resource areas across streams, wetlands, and bush areas from the Paeroa range in the south-west, south to specific places on the Waikato River and east to the Rangitaiki river, and beyond. NOTE: This map does not depict a tribal boundary or define an area of mana whenua. This map includes areas and sites that are important to Ngāti Rangitihi for a range of reasons, including ancient historical connections, through to events connected to Treaty of Waitangi claims and Crown actions. 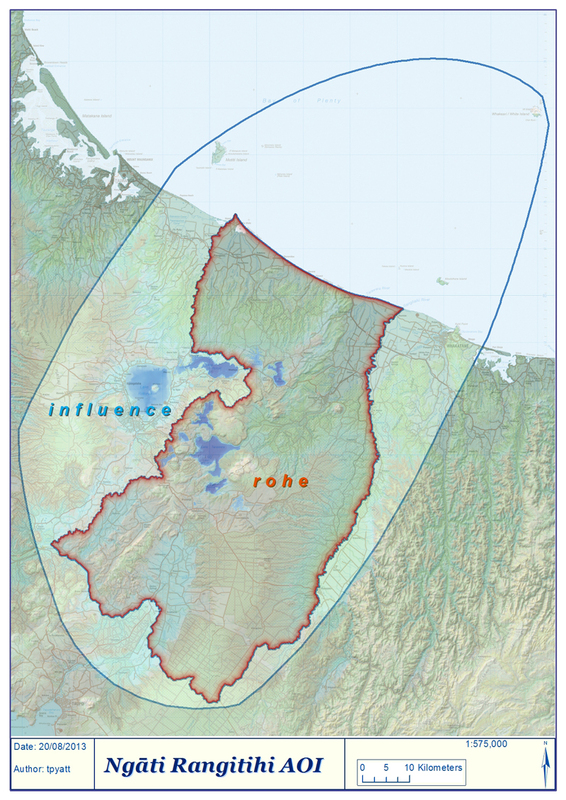 In some of these areas, Ngāti Rangitihi do not have exclusive or predominant interests and acknowledge that in such areas, other groups hold mana whenua.